Athletes are under the spotlight by viewers around the world. The teams competing have trained together for countless hours. Along with this closeness, physical contact, and sharing of equipment comes the risk for common and potentially devastating skin infections. Vast outbreaks of skin infections with fungi, viruses, and bacteria can occur amongst teammates at all levels of competition, from junior high school to the Olympics. In fact, some skin conditions can even prevent athletes from competing. 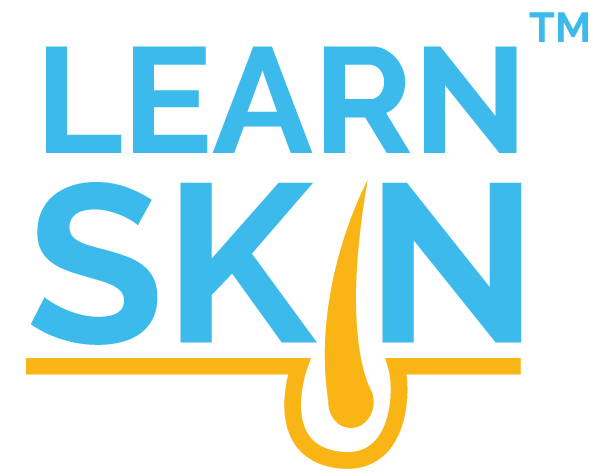 It is important for coaches, doctors, and the athletes themselves to know about some of the most common skin conditions amongst sports teams so that they can be prevented and treated. 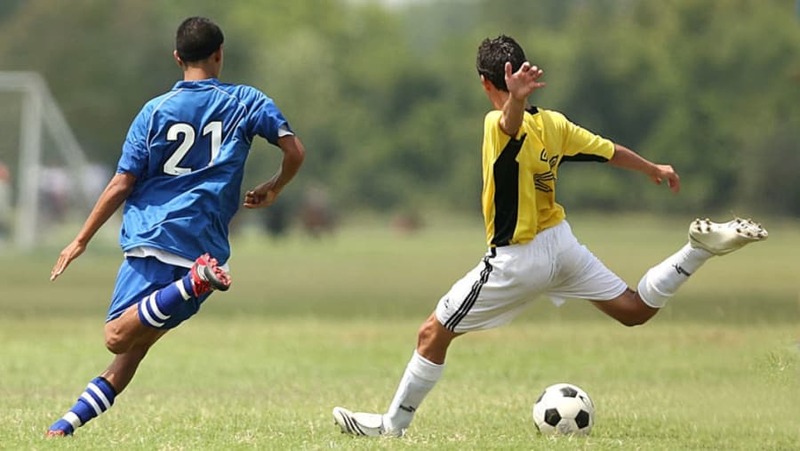 Physical contact in sports leads to skin break down and scrapes, which together with moisture can foster an environment that makes athletes susceptible to skin infections with the bacteria staphylococcus and streptococci. Impetigo is a common bacterial infection amongst athletes with skin-to-skin contact, which has a yellow colored crust, along with redness and irritation. Impetigo is highly transmissible and common amongst wrestlers, football players, and rugby players. Methicillin Resistant Staphylococcus Aureus (MRSA) outbreaks are a more serious form of bacterial infections because they are caused by a strain of staphylococcus that is resistant to many common antibiotics. MRSA infections may appear as an inflamed and swollen skin lesion, with oozing fluid or pus and may be found anywhere on the body, including the toenail. Athletes can even acquire a bacterial infection of the hair follicles, commonly called ‘hot tub folliculitis,’ resulting from soaking in hot tubs for rehabilitation. Due to their easy spreadability and potentially serious complications, bacterial infections must be promptly recognized and are commonly treated with topical or oral antibiotics. Most people have heard of ringworm (also called Tinea corporis), an itchy rash appearing as large red, round lesions. Tinea corporis notoriously occurs in outbreaks within wrestling teams and often interrupts practice and competitions. In fact, it is so common that it is called Tinea corporis gladiatorum in wrestlers. Lesions often occur on the head, neck, and upper arms and may appear as round, red lesions. Note: these are not to be confused with the perfectly circular bright red spots that result from cupping, an increasingly popular tool used in Traditional Chinese Medicine to promote recovery. Fungal infections can also infect athletes’ feet and is common in athletes who wear full coverage footwear. Like bacterial infections, fungal infections are also highly transmissible and many organizations will not allow athletes to compete if they are infected. Infection with Herpes Simplex Virus (HSV) has been reported in epidemics within rugby and wrestling teams. [8,9] Just as other infections spread in teams, HSV also spreads through skin contact with the infection. Clusters of raised bumps on red bases characterize this infection, but there may be no signs of infection at all. Warts caused by human papilloma virus (HPV) can also be transmitted to team members, especially when they are on the hands and feet. Athletes can also develop allergic contact dermatitis when they become allergic to equipment or other substances in the environment after repeated exposure, such as contact with rubber. These rashes may appear red, itchy, and scaly. Another important skin condition to recognize, especially in outdoor sports, is skin cancer. Studies have documented that athletes are especially vulnerable to damage from sun exposure. Studies have demonstrated the particular risk for skin cancer in bikers, skiers, and water sport athletes. At a meeting of the American Academy of Dermatology, dermatologist Brian B. Adams, MD, MPH, FAAD advocated that athletes must protect themselves from infection by immediately showering following training, wearing sandals in the locker room, and only wearing non-cotton moisture-wicking socks. Infections can become rampant amongst athletes, and teams can be disrupted and prohibited from participation. Non-infectious skin conditions can lead to harm and injury, and athletes need to speak up and get proper treatment. Athletes, coaches, and physicians need to be educated about both common and uncommon skin conditions to ensure adequate surveillance and appropriate diagnosis and treatment. 1. Ljungqvist A, Jenoure PJ, Engebretsen L, et al. The International Olympic Committee (IOC) consensus statement on periodic health evaluation of elite athletes, March 2009. Clin J Sport Med.2009;19(5):347-365; PMID: 19741306. 2. Brenner IK, Shek PN, Shephard RJ. Infection in athletes. Sports Med.1994;17(2):86-107; PMID: 8171226. 3. AAD. Athletes prone to a rash of skin conditions. 2011; http://www.aad.org/media/news-releases/athletes-prone-to-a-rash-of-skin-conditions. Accessed August 8, 2016. 4. Chandrasekar PH, Rolston KV, Kannangara DW, et al. Hot tub-associated dermatitis due to Pseudomonas aeruginosa. Case report and review of the literature. Arch Dermatol.1984;120(10):1337-1340; PMID: 6435541. 5. Adams BB. Tinea corporis gladiatorum: a cross-sectional study. J Am Acad Dermatol.2000;43(6):1039-1041; PMID: 11100020. 6. Park M. Olympics in bright red spots: What is cupping? 2016; http://www.cnn.com/2016/08/08/health/cupping-olympics-red-circles/index.html. Accessed August 9, 2016. 7. Adams BB. Dermatologic disorders of the athlete. Sports Med.2002;32(5):309-321; PMID: 11929358. 8. Stacey A, Atkins B. Infectious diseases in rugby players: incidence, treatment and prevention. Sports Med.2000;29(3):211-220; PMID: 10739269. 9. Belongia EA, Goodman JL, Holland EJ, et al. An outbreak of herpes gladiatorum at a high-school wrestling camp. N Engl J Med.1991;325(13):906-910; PMID: 1652687. 10. Becker TM, Kodsi R, Bailey P, et al. Grappling with herpes: herpes gladiatorum. Am J Sports Med.1988;16(6):665-669; PMID: 2853577. 11. Bergfeld WF. Dermatologic problems in athletes. Prim Care.1984;11(1):151-160; PMID: 6231651. 12. Uchiyama M, Tsuboi R, Mitsuhashi Y. Athlete's nodule. J Dermatol.2009;36(11):608-611; PMID: 19878395. 13. Cohen PR, Eliezri YD, Silvers DN. Athlete's nodules. Treatment by surgical excision. Sports Med.1990;10(3):198-203; PMID: 2237035. 14. Fisher AA. Sports-related cutaneous reactions: Part II. Allergic contact dermatitis to sports equipment. Cutis.1999;63(4):202-204; PMID: 10228746. 15. Moehrle M, Heinrich L, Schmid A, et al. Extreme UV exposure of professional cyclists. Dermatology.2000;201(1):44-45; PMID: 10971059. 16. Rigel DS, Rigel EG, Rigel AC. Effects of altitude and latitude on ambient UVB radiation. J Am Acad Dermatol.1999;40(1):114-116; PMID: 9922027. 17. Herzfeld PM, Fitzgerald EF, Hwang SA, et al. A case-control study of malignant melanoma of the trunk among white males in upstate New York. Cancer Detect Prev.1993;17(6):601-608; PMID: 8275512.